Beans are a staple ingredient in many cultures. They are highly nutritious, filling and extremely versatile. Depending on the variety, beans can be used for curries/stews, pastas, salads ie. Bean Salad, Corn Salad), sauces (ie. black bean sauce), dips, bakes, pies and many other dishes. Sometimes they are served as a dish by themselves, as in Frijoles Refritos (Refried Pinto Beans) or Baked Beans. Most have a distinctive 'beany' flavour which is unique but not very strong. Mainly bean-shaped, although there are exceptions such as broad beans, which are oval shaped and flattened, or chickpeas (garbanzo beans), which are rounded and lumpy. Choosing: You can select a wide variety of beans depending on what you choose to make. Also by brand/canned or which ever is to your liking. Buying: You can purchase at your local grocery store. Procuring: very easy to grow. Leave soaking in water prior to preparation for cooking. You can boil for couple hours until beans are tender. You may add tomatoes, onions, beer, jalepenos, cliantro, bay leafs and bacon + spices for Frijoles Borrachos aka Drunken Beans! 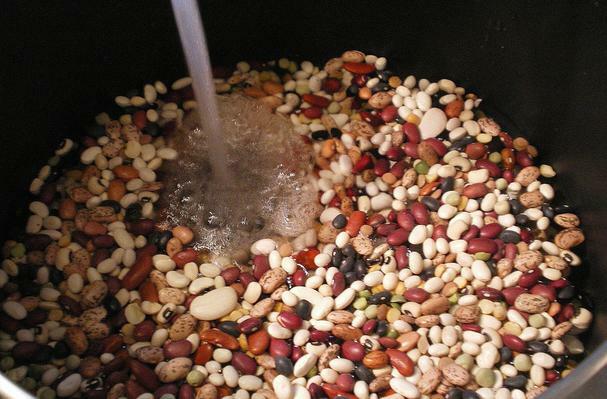 Cleaning: You can rinse and soak beans prior for use of cooking. You can store beans in a mason jar or Tupperware at room temp. History: Beans are one of the longest cultivated plants for the past 6000 years in the Americas.